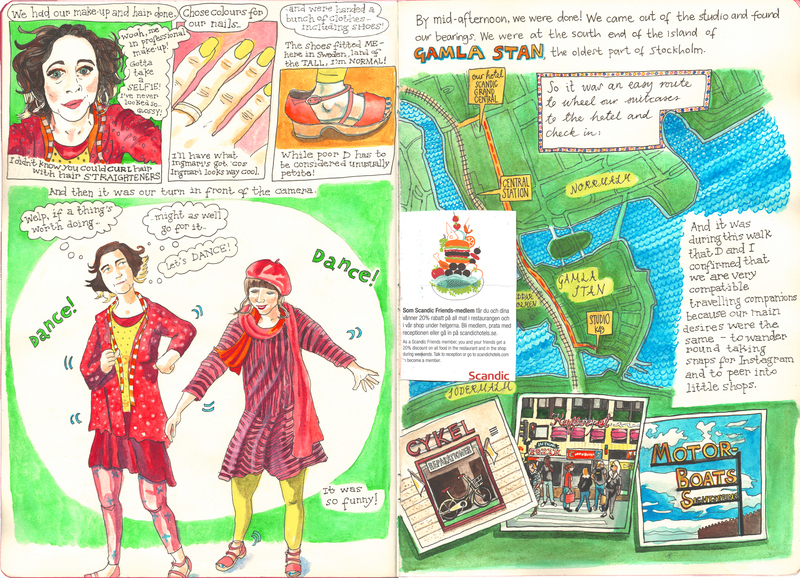 I’m truly delighted that my Stockholm sketch diary (detailing the trip I took to be an unlikely fashion model for Gudrun Sjödén) has been printed out and will be available to Gudrun shoppers around the world today. 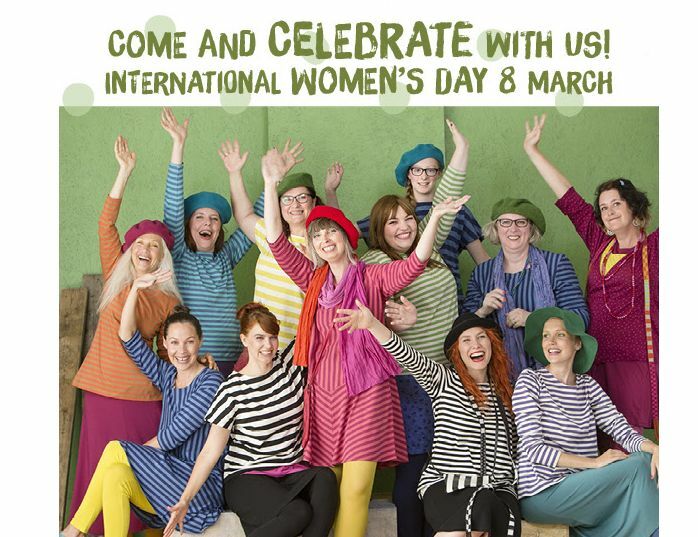 Gudrun Sjödén stores always celebrate International Women’s Day (after all, their founder is a remarkable woman), and this year they are giving out “bulging goodie bags” as part of the celebrations. My diary will be making one of the bulges! In the UK, the bags are a little extra gift for anyone spending more than £40. If you can’t make it, fear not – if you order via the website today, the same offer applies. Or of course, you can read the whole diary online here. I have to say that I am really grateful for Gudrun’s support: I’m not a commercial artist nor one who approached them via standard channels. I so appreciate their willingness to share my work to their customers in this way. Visit the homepage and you’ll even see this as a moving image. Hoorah!